The spellbinding puppet martial arts family film, ‘YAMASONG: MARCH OF THE HOLLOWS’,starring the voices of an all-star cast including; Nathan Fillion (Castle, The Rookie), Abigail Breslin (Little Miss Sunshine), Whoopi Goldberg (Sister Act), Malcolm McDowell (A Clockwork Orange), George Takei (Star Trek), Freida Pinto (Mowgli), Peter Weller (Robocop), Bruce Davison (X-Men), and Ed Asner (Disney’s: UP), will release through Random Media on April 23rd. 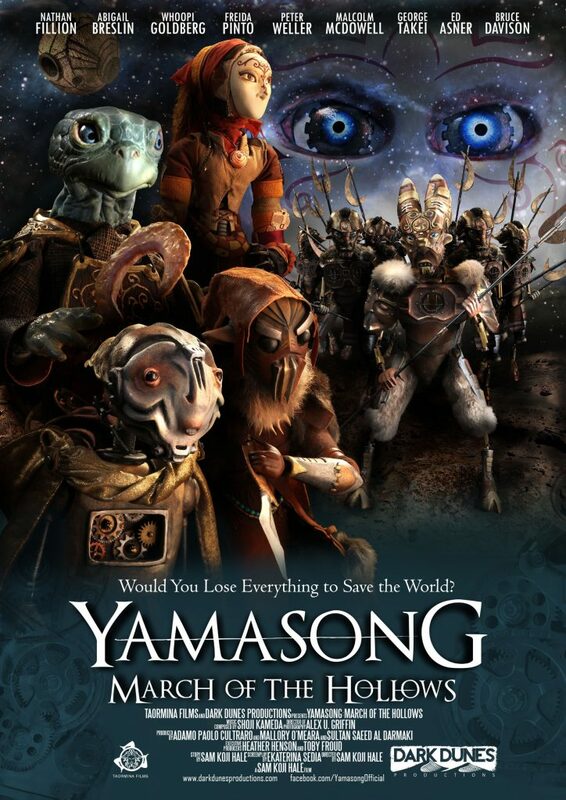 Directed by Sam Koji Hale, ‘YAMASONG: MARCH OF THE HOLLOWS’ is the first major (non-Muppet) puppet film to be made in the US since Team America, with executive producers Toby Froud (son of Brian and Wendy Froud) and Heather Henson (daughter of Jim Henson). 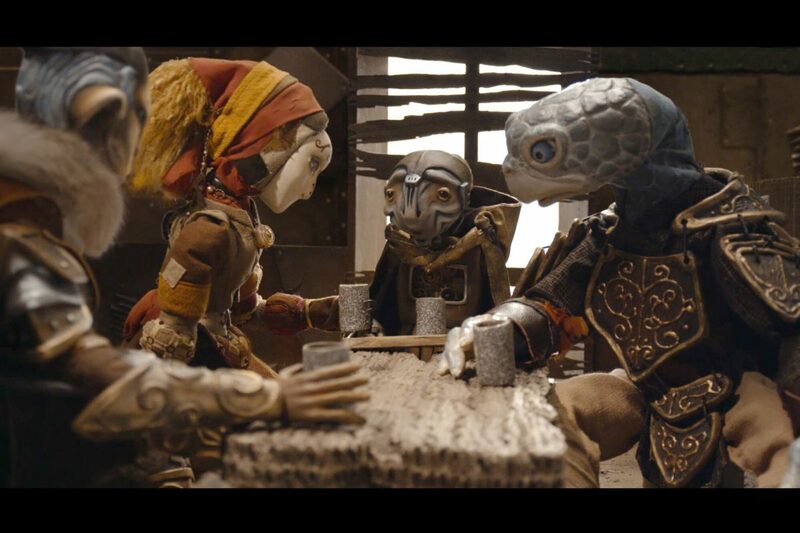 The film follows an automaton girl and tortoise warrior that journey with a band of outlaws on an incredible quest. Their one hope to defeat a sinister mechanized army and save the creatures of their world is to find a legendary relic. The film is having a limited theatrical release ahead of being available on-demand and on all digital platforms April 23rd.